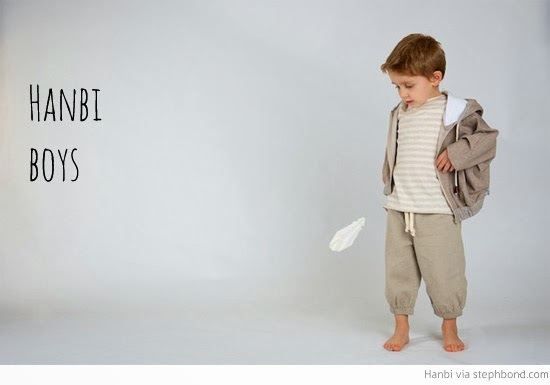 Hanbi (pronounced hun-bee) is a sweet and stylish children's clothing label from Melbourne that I spotted at the last The Finders Keepers market. 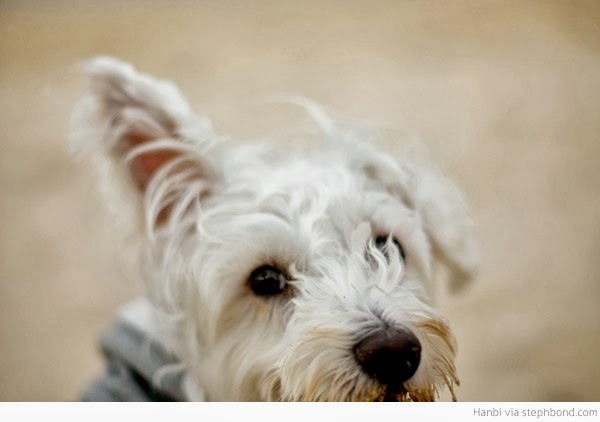 Wife and husband creative team Hy and Ilya named Hanbi after their half-Miniature Schnauzer half Westie dog (can you just imagine that combo!). 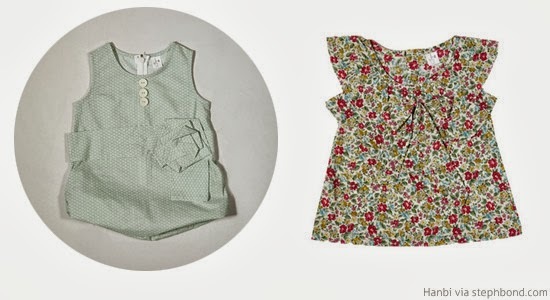 The collection is for kids 6 months to 8 years, with many pieces working for both girls and boys. 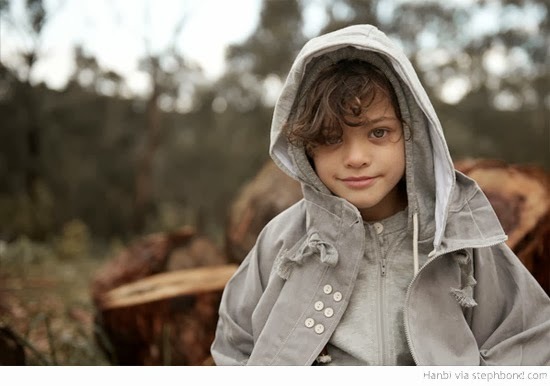 The colour palette is muted and the shapes are relaxed for active kids. I love the clever details like the addition of buttons to convert the Jasmin dress into a bubble dress for not-yet-walkers. 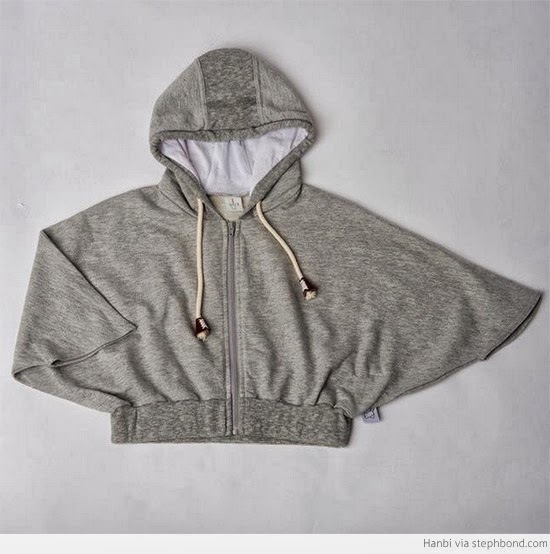 The jackets are particularly great - the bat wing style of the Little Sparrow hoodie is a great shape and the hanbi jacket has a modern style with a soft detachable hood. This is a gorgeous label that I know will continue to bring us beautiful clothes with thought and detail. 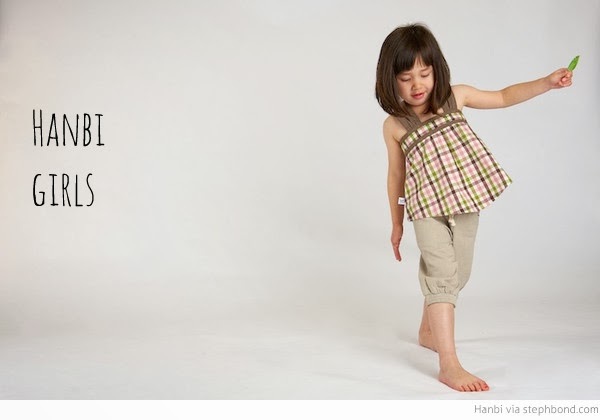 You can find Hanbi in the online store.